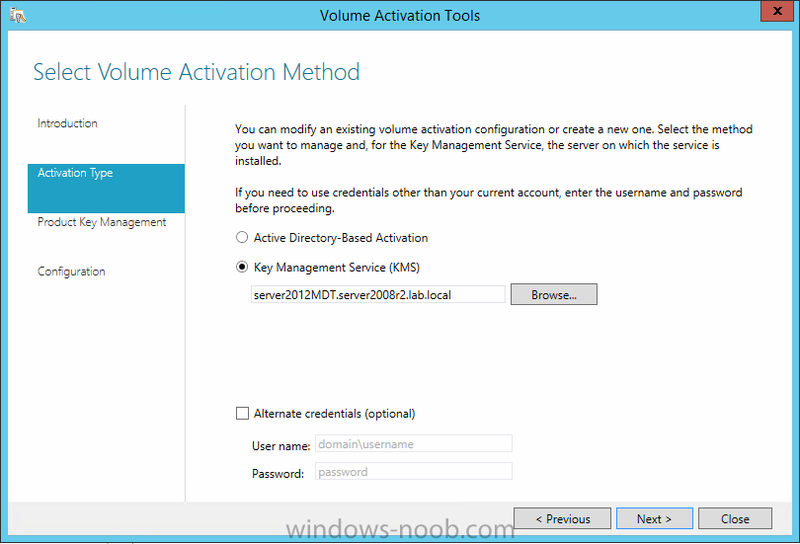 here's some brief note's for setting up KMS for activating Windows 10. First things first, you need to setup up a new 2012 R2 KMS server, because it won't work with Windows 2008 R2. 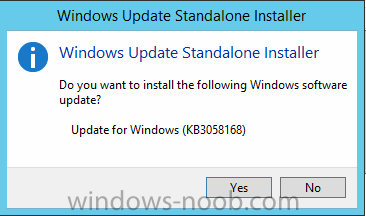 Windows 2008 R2 is (currently) not supported for activating Windows 10 using KMS. For info on that, see here. Jump to Step 3 !. If you are using Server 2012R2 please go to step 2. I wasn't prompted to reboot, but you may want to do so anyway. You need to get a new KMS Host key from the Volume License Service Center that is capable of activating Windows 10. To do so, login with adequate credentials and then click License, then Relationship Summary. Click the License ID of your current Active license. You may have more than one Active License, so if it does not appear under one, check the other. Once the page changes, click Product Keys. Save this key somewhere safe, you'll need it later. After installing Windows Server 2012 open Server Manager and choose Add roles and features, choose Role-Based or Feature-Based installation. 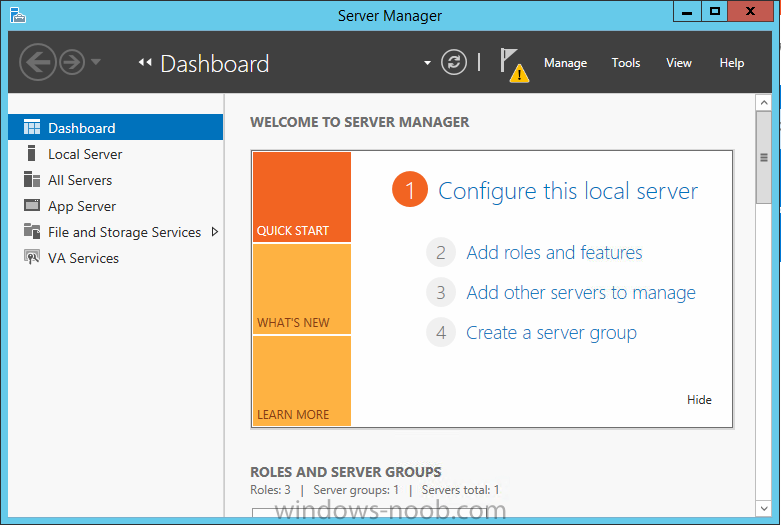 Choose your local Windows Server 2012 Server from the Server Pool. Choose the Volume Activation Services role. 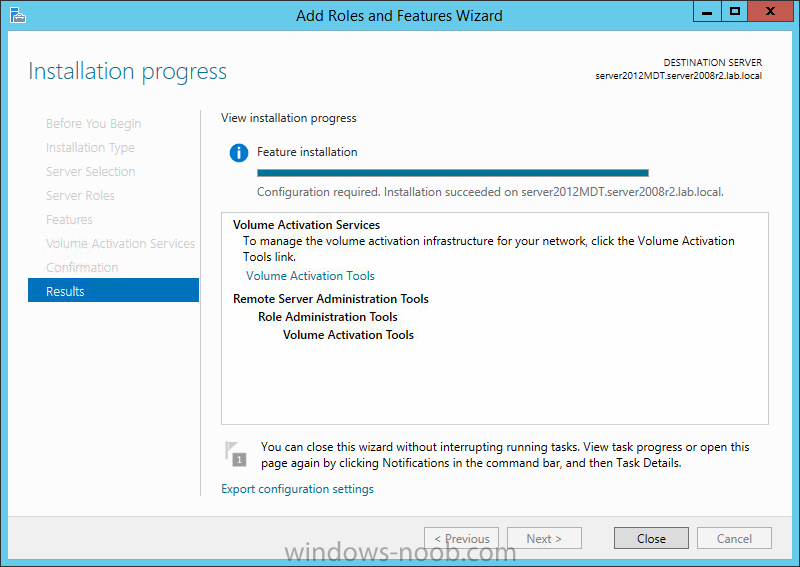 You may be prompted to add features that are required for Volume Activation Services such as Remote Server Administration Tools, if so, click on Add features and continue through that wizard until completion. Click Close when done, you will see a Yellow Triangle in Server manager which means that the role is installed but there is additional post deployment configuration required. 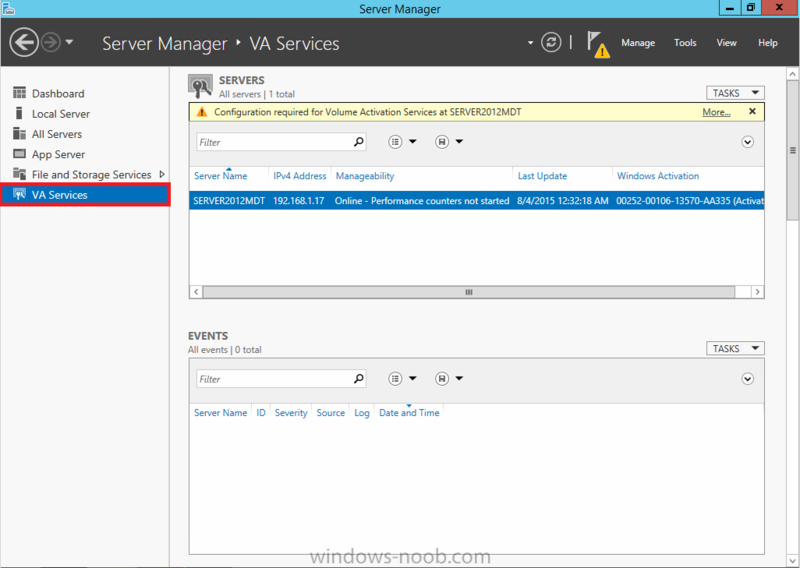 To configure it, click VA Services in the left pane. 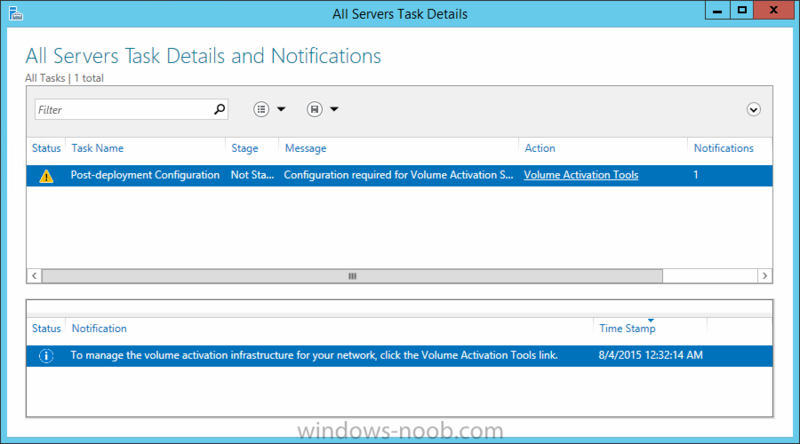 Next click on the More text to the right of Configuration required for Volume Activation Services at SERVERNAME. This will popup All Servers Task Details and Notifications. on the Product Key Management screen enter your KMS host key retrieved above in Step 3 from the VLSC site. answer Yes when prompted and review the final screen and then continue through that wizard until completion. 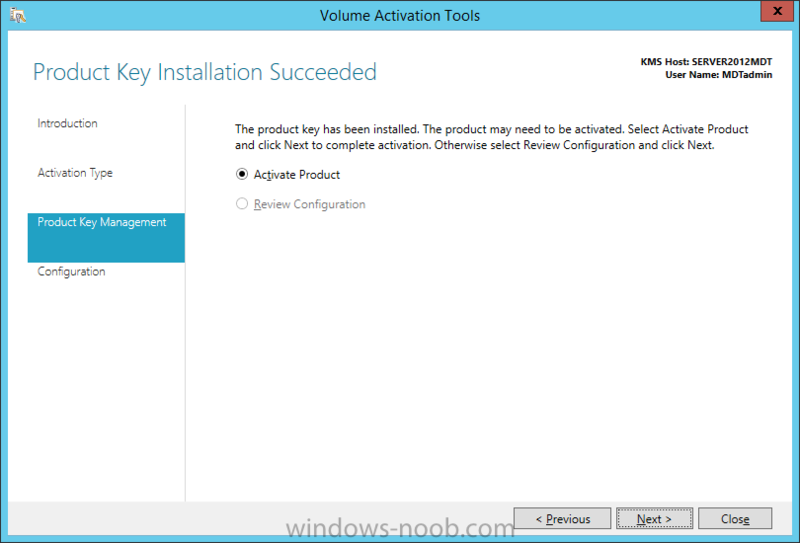 It is worth noting the activation thresholds for a KMS on Server 2012. I am trying to get this set up on a Windows 2008 R2 Std. 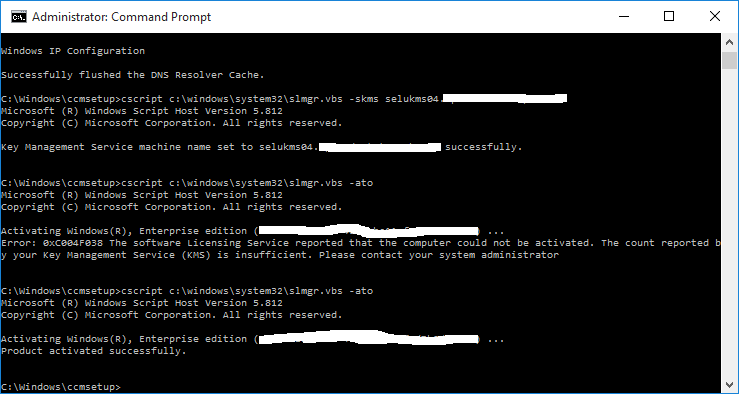 Server with activating windows 10, can you by chance provide me with step by step instructions on how to do this? I have been searching the web for hours for assistance but can not find any good write ups on how to accomplish this.